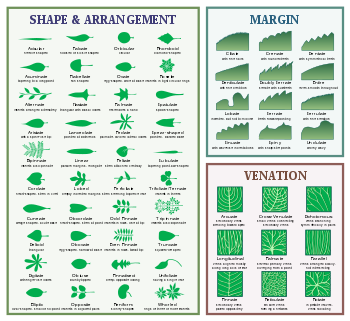 Leaf shape is a common method used to identify trees. Dendrology (Ancient Greek: δένδρον, dendron, "tree"; and Ancient Greek: -λογία, -logia, science of or study of) or xylology (Ancient Greek: ξύλον, ksulon, "wood") is the science and study of wooded plants (trees, shrubs, and lianas), specifically, their taxonomic classifications. There is no sharp boundary between plant taxonomy and dendrology; however, woody plants not only belong to many different plant families, but these families may be made up of both woody and non-woody members. 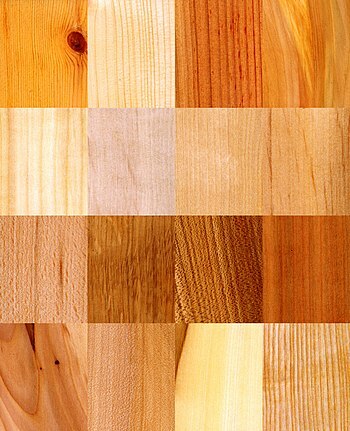 Some families include only a few woody species. Dendrology, as a discipline of industrial forestry, tends to focus on identification of economically useful woody plants and their taxonomic interrelationships. As an academic course of study, dendrology will include all woody plants, native and non-native, that occur in a region. A related discipline is the study of sylvics, which focuses on the autecology of genera and species. Dendrology is often confused with botany. However, botany is the study of all types of general plants, while dendrology studies only woody plants. Dendrology may be considered a subcategory of botany that specializes in the characterization and identification of woody plants. Look up dendrology or xylology in Wiktionary, the free dictionary. This tree-related article is a stub. You can help Wikipedia by expanding it. This page was last edited on 2 November 2018, at 12:36 (UTC).